-Black Millennials lead Black Church Protest. You get the picture. What's frustrating to me isn’t the articles, every opinion matters and has truth to it. (Your truth…is your truth) What frustrates me is the stark amount of Church leaders who share articles that explain why black people aged 18-40 hate the church without offering any sense of hope. 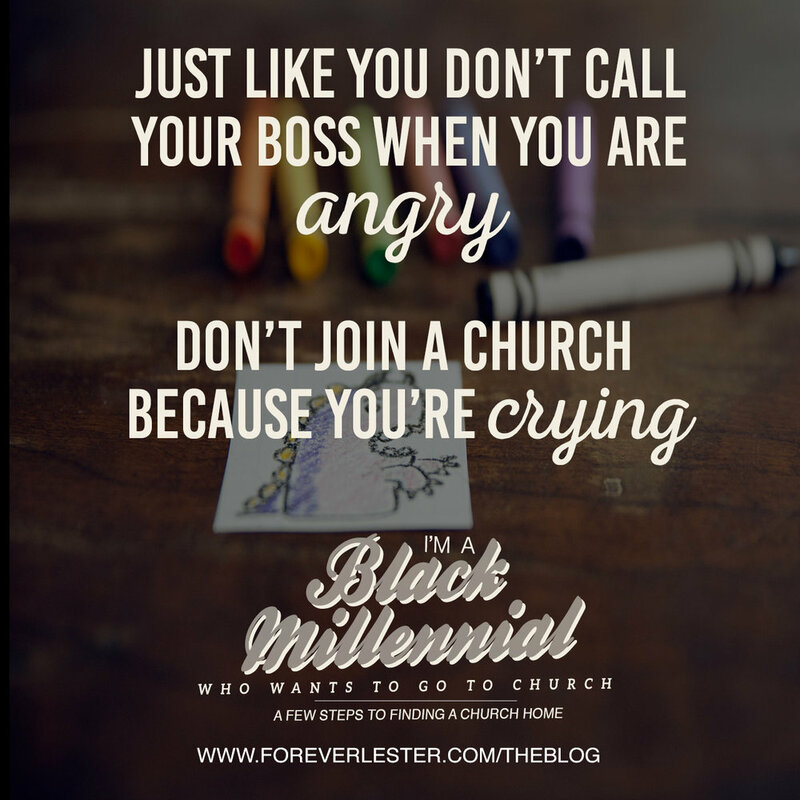 We complain about black millennials not coming…so the conversation is never, “Hey there possible church member made in God’s image under the age of 40, come encounter God here!” It is, “Hey…you think we are irrelevant…accept this rap lyric in my sermon.” How can we as Church leaders hope for change if all we do is complain. So, hey black millennial (I know you hate the term too but its all culture is giving us) Can I assist you prayerfully finding a place to wrestle with the truth of Jesus Christ? The Church wants you! We want Jesus to go Viral in the world! I want you to be a part of the Viral Jesus. What does that mean? It’s being willing to take an intentional risk to find a place where your soul can rest. This is not for the Church Leader or Pastor looking for some trick to get young adults to attend your church. 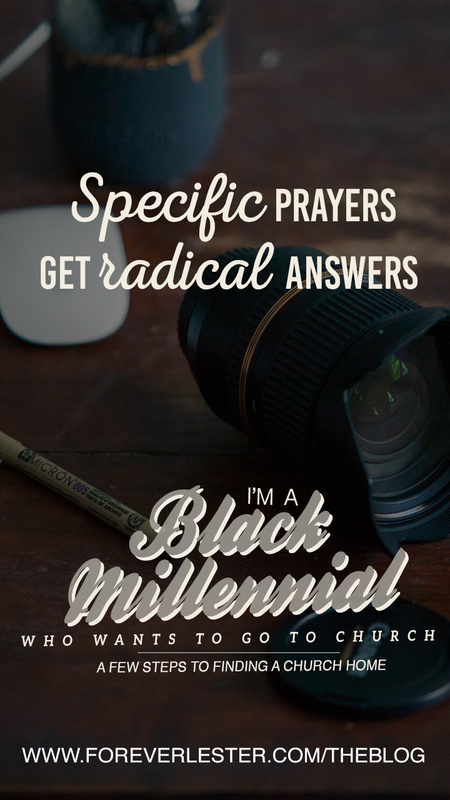 (Sidenote…if you are trying to reach black millennials don’t think quoting a rap song will get us…we aren’t stupid) This is for the Millennial who is looking for a church but all you see are the articles that tell you the church is dead, isn’t “woke” enough, doesn’t think Black lives matter, doesn’t care about black women, and wants you for nothing more than your bank account. Are there churches like that? Sure. All of them? Nope! By no means am I attempting to insult your intelligence or your decision-making. Personally, I refuse to sit idly by and hear that our churches are dying when I know God has made a place for you to go and grow. You are such an amazing and vital part of this world and culture, a part that God created that a church needs to make it everything it can be. It's you painfully praying for God to give you a place to share Jesus Christ with people like you. Maybe it's with skinny jeans and a cup of coffee, or maybe it's with a suit and dress shoes on. Wherever that is…I pray this helps you discern a place where you will see how attractive Jesus is and how he has been chasing after you since the day you were born. How? Here are few steps to discerning a church home for my black millennial friends. Ready? Saturate your life in prayer. That's really it. Pray over the type of church you are looking for and don’t be afraid to be extremely specific…all the way down to the color of the carpet. I remember when I was praying for the church I would pastor, I prayed specifically for a unique High-Church worship experience near college campuses willing to see God and Share God in unique ways. And I got all of that plus so much more! Specific prayers get radical answers. Don’t waste your time praying for just a “Church home,” but for a church home that will be exactly what you feel you need in this season. Make a list of the 5-10 things you need, not what your parents or grand parents told you, you need. Listen to the Holy Spirit to start your decision-making process. Start researching! Look at a few things. Don’t judge the whole church on a good or bad Facebook post/Webpage etc. Discern 2-3 places that the Holy Spirit has prompted your heart to Consider and go to all of them! Don't judge it by the one church you went to last Easter, the one Pastor whose suit was too big, the one church who had a banging choir, the one extra offering, the one off. How many great relationships have you missed because you judged your new beau by your old beau? That one crazy church with a pastor in a purple suit and the choir that was totally off key asking for 5 extra offerings is a one off. For every one of those, I can tell you about hundreds of my friends and classmates who have studied to show themselves worthy to lead and guide your soul! From my heart, this is one of the most important parts. Go to Sunday school/prayer meeting/bible study. No, seriously, go. The church is not built on Sunday worship; it is built on spiritual development. If you attend and don’t feel like you can grow there...don't go back. Period. Intentional research on your part, like scrolling through the twitter feed of the new person you are in a relationship with, is the most important part. If the church you attend has a banging choir, but no bible study…the core is rotten. Go where you can grow, or keep looking! Ready for an honest moment? I’ve been preaching for about 10 years and we preachers know how to do an altar call. From blanket statements to “who is dealing with an issue? ?” To looking across the room and singing “worth”…emotions are so high at post sermon altar calls and we know it. (Personally, I’ve grown like crazy to a point where I no longer base success on a number of people at an altar at the end of my sermons) For you…don’t base your decision for Christ or where to attend a place of worship based on the tears you shed at the end of a sermon or praise and worship set. Instead, do this. Ask the Holy Spirit to share with you, what your emotions mean. Sit in silence and wait for an answer. Just like you don’t call your boss when you are angry, don’t join a church because you’re crying or lost something. If you join for a reason like that, you’ll leave for a reason like that. Keep visiting 2-3 times. Do you see yourself growing here? Can you listen to that pastor each week? Can you listen to that choir every week? Do they believe what you believe in? Are the “woke?” Are they relevant? Don’t go to a church you will try and fix, go to a church where you fit. With those visits, ask people who are your age what they like / don't like about the church. Get honest and open opinions. If you are looking for social justice, womanist perspectives, family ministry, future vision etc.…Ask the people. And, ask the pastor to talk! Your voice matters, ask the pastor for coffee or lunch. I’ll say this, what drove me to the churches I attended were the bible studies and the Pastors I got coffee with. As a Pastor, I now get coffee/lunch with interested members to share who I am, my life, and where I believe the Lord is guiding this season of ministry. Speaking with the Pastor does not mean that you have made a commitment; rather you are serious about this opportunity to ensure you have discerned and made the right decision. 7-Make a decision, walk in the decision, walk in your gift. Make it happen! Remember When the Children of Israel saw a cloud and fire? Two different things…both had God in it. When God appears, clouds roll in and fire breaks out. When you connect your gift to the place God has called it…Fire will break out. As a Pastor who is doing their best to reach people of all age groups in a unique time in history, I love that God is raising us extremely unique and authentic voices in our generation. I cannot wait to see an explosion of Black millennials who have not settled for the local community church, or the state mega church. Rather, people who are going where the Lord has called them! Ok, talk to me. Comment. P.s. I know I know…”So Justin you tell people who visit your church about other churches and to go through a process of prayer before they even join your church?” Yep! At the moment I have recommended numerous people in the city to other churches that fit what they are praying for! My goal is kingdom building, not Justin building. I am a black millennial. I love the black church. shareable images below! click and share!